Future-oriented, unique architecture that partakes of a minimalist idiom while remaining true to the building’s roots. Total area: 4,000 m². 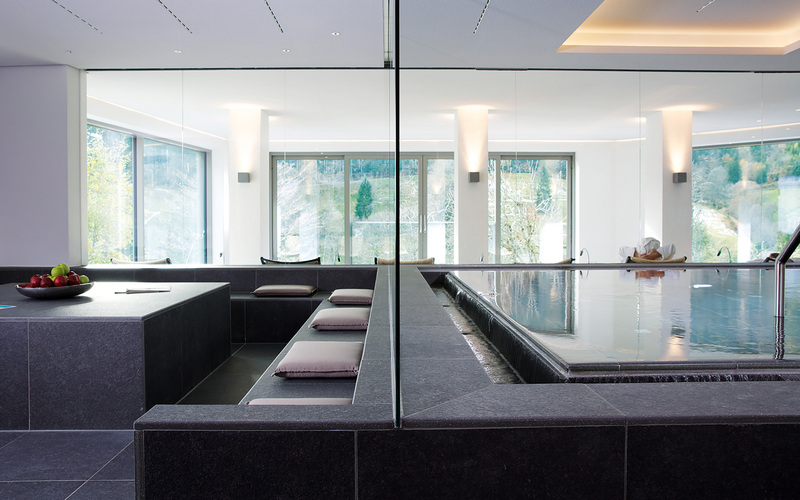 Wellness area (interior): 2,500 m²: SANARIUM®, crystal steam bath, herbal steam bath, ice igloo, ice fountain, quiet area. Activity pool, fresh-water pool, children’s pool, whirlpools. Exterior area: 1,500 m2. Saltwater outdoor pool, whirlpools, relaxation area. Fitness studio. The iconic Traube Tonbach, known for its culinar y ar tistry, was the first hotel in the Black Forest to have a swimming pool and Finnish saunas – half a century ago. Its wellness facilities have since been expanded, making use of existing structures as well as the hotel’s nature-based architectural style. 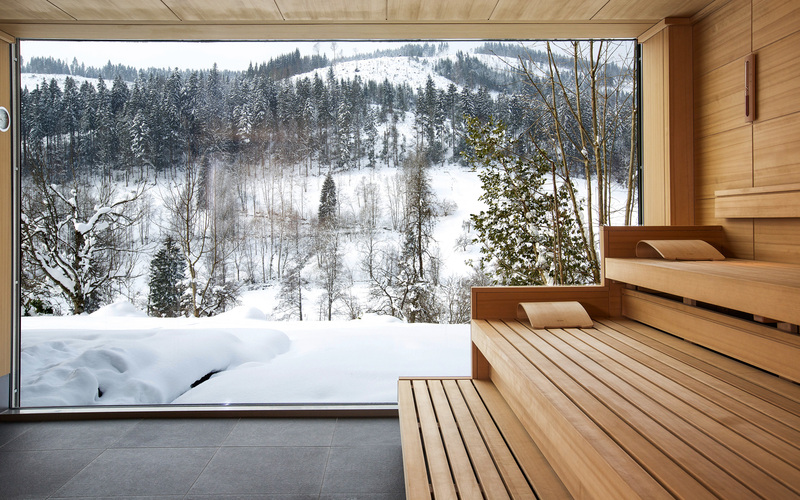 Around 4,300 m3 of earth were removed to embed the wellness area into the landscape, invisible from outside. 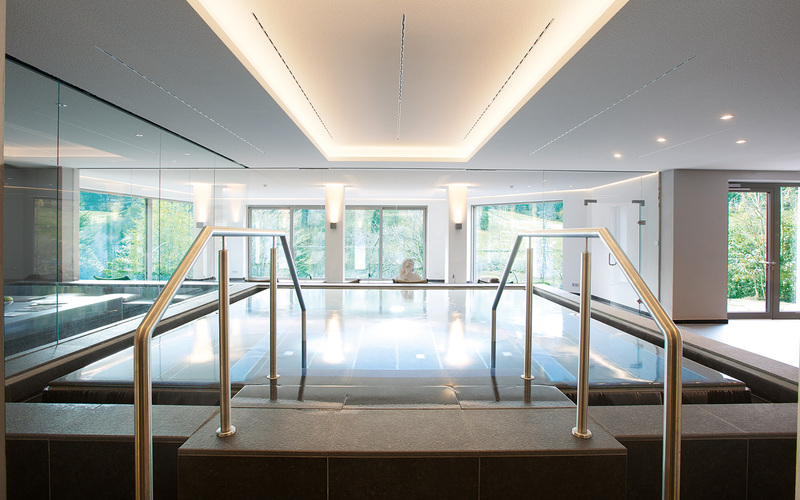 The result is a spa complex and centre of well-being that received the renowned iF design award for its architecture and superb arrangement of individual spa elements.